This entry was posted in Club Nintendo and tagged club_nintendo(de), german, mega_man, super_mario_bros. Bookmark the permalink. So great to see another Club Nintendo release! You should know by now that the majority of them have already been translated, but I’m very happy to see this all the same, and to see what improvements you’ve made over what was available! The Transformation: Clearly superior to your previous release. 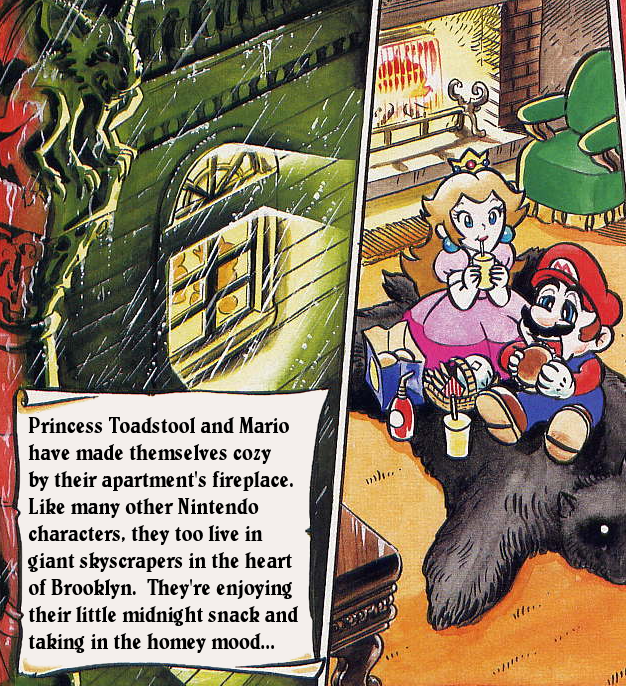 Mariozilla: A slightly more natural translation than Supper Mario Broth’s effort, and no less professionally done. Terranigma: You’re the first with this one, and what a fantastic scanlation!! Glad to see another Holerö uttered in this one (the first in fact!). No wasted effort either; the Special Edition version has a different script over the same art for these pages. The Night of Horror: I did this one myself before, and yours is about on par with it. You’ve done a few nice little things, and we both have a few tiny mistakes. Either one is good (although I’ve already done part 2)! Banana Day 24: I think I slightly prefer my translation for this one, although your spacing and font looks better, and I did miss one word by mistake. Also I kind of regret making the aliens speak broken English. Thanks for your comments as always. Glad to see your stuff again, looks like you’ve been busy!